Julia Lemon became an associate at Lonich and Patton in November 2007. She supports all major practice areas of the firm, with a special interest in Family Law matters. Julia began her relationship with the firm as a second year law clerk in 2005. Julia was raised in San Jose and attended Presentation High School. Thereafter, she attended the University of California at Davis where she was a member of Alpha Chi Omega sorority. In 2004, Julia graduated with honors and as a member of Phi Beta Kappa, earning a Bachelor’s Degree with a major in Sociology and a minor in Spanish. Julia returned to the Bay Area after graduation to attend Santa Clara University School of Law. At Santa Clara University, Julia was a member of the Dean’s List and Phi Delta Phi and received the CALI Excellence for the Future award for her work in Appellate Advocacy. 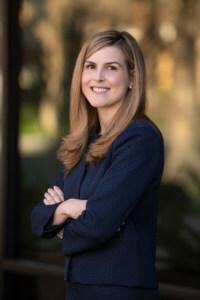 She also interned for the Honorable Leonard P. Edwards in Santa Clara County ‘s Juvenile Dependency Court and served as a tutor for Santa Clara School of Law’s Academic Success Program. Julia earned her Juris Doctorate in 2007. Julia was admitted to the California Bar in November 2007. She is a member of the Santa Clara County Bar Association. In her spare time, Julia enjoys traveling, reading, and spending time with her husband and family.